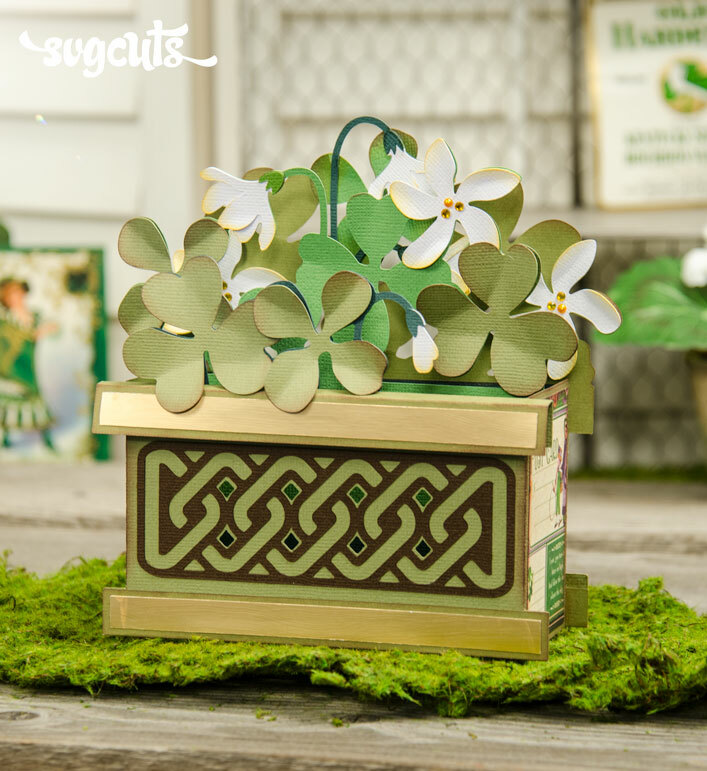 Create a stir for Fall with amazingly dimensional Box Cards! 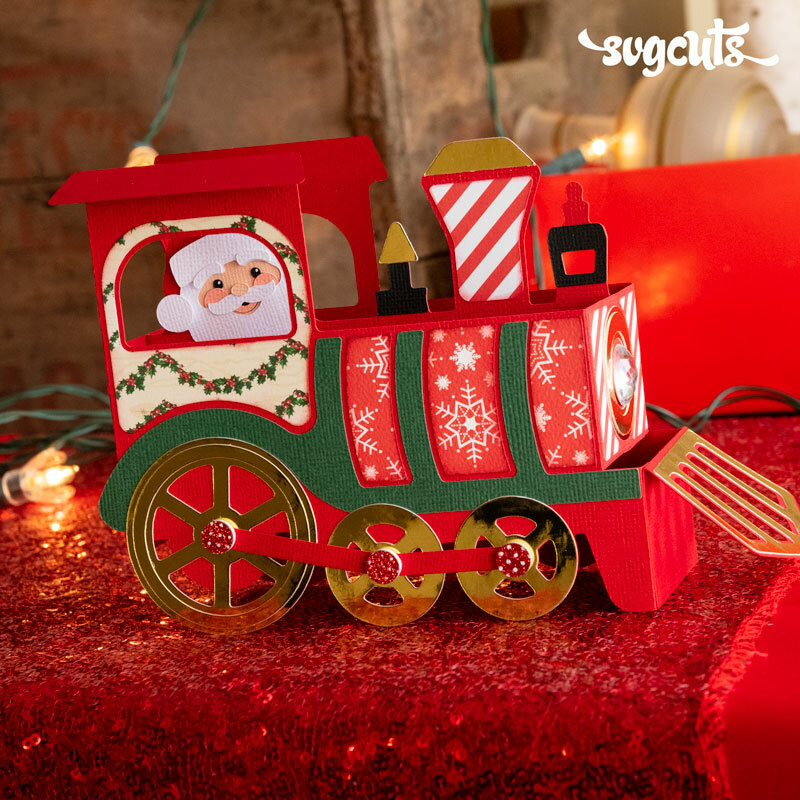 Each card folds flat to fit inside its envelope, so giving and sending is easy. Delight someone this Autumn with their very own Pumpkin Patch, Apple Crate or "handful" of Fall Leaves. Use them for birthdays, "just because," congratulations, anniversaries, thank-yous or even Fall weddings. 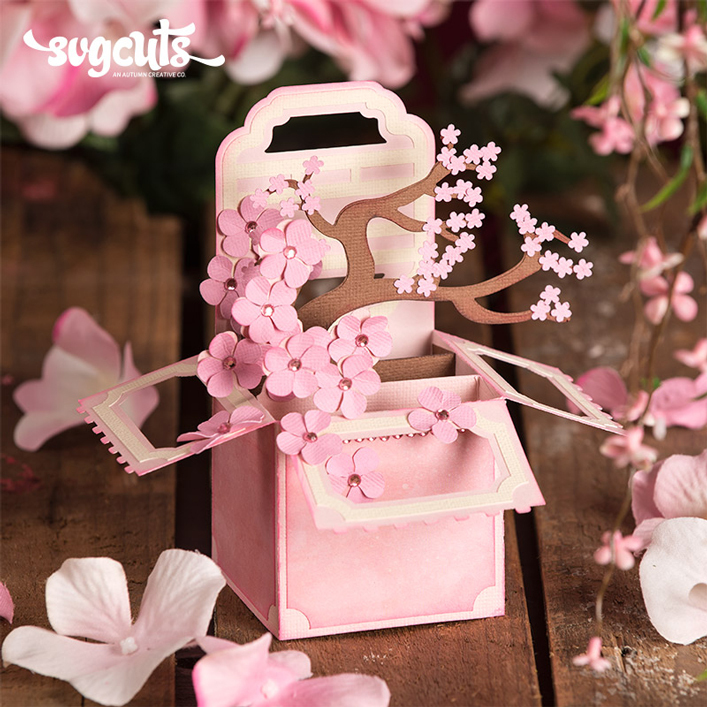 Create the Cake Box card for a wedding or bridal shower for any season (depending on the paper and colors you use), or make it colorful and vibrant for a birthday or other celebration! 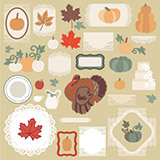 Make a huge impression for Thanksgiving with the Thanksgiving Box Card. 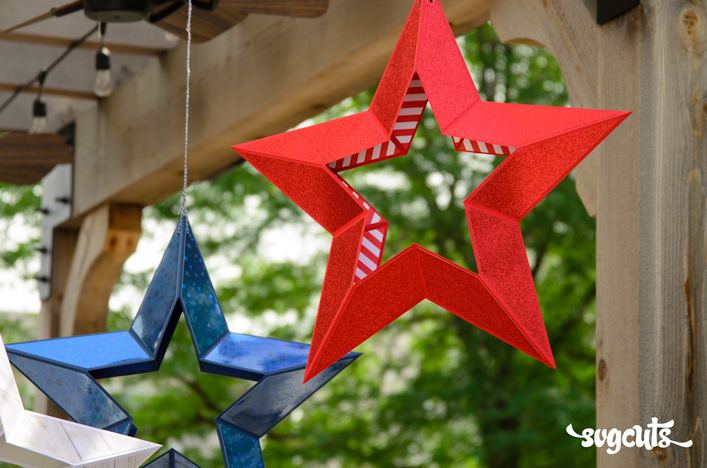 You get an easy-to-use printable PDF which you simply print and trim into rectangles (there are four per page, and there are guidelines for trimming). Fill in the details, and affix behind the frame, which hides the invitations edges (you don't need your machine to cut out the printable invitation portion). Or of course you can simply make it as a "Happy Thanksgiving" card! 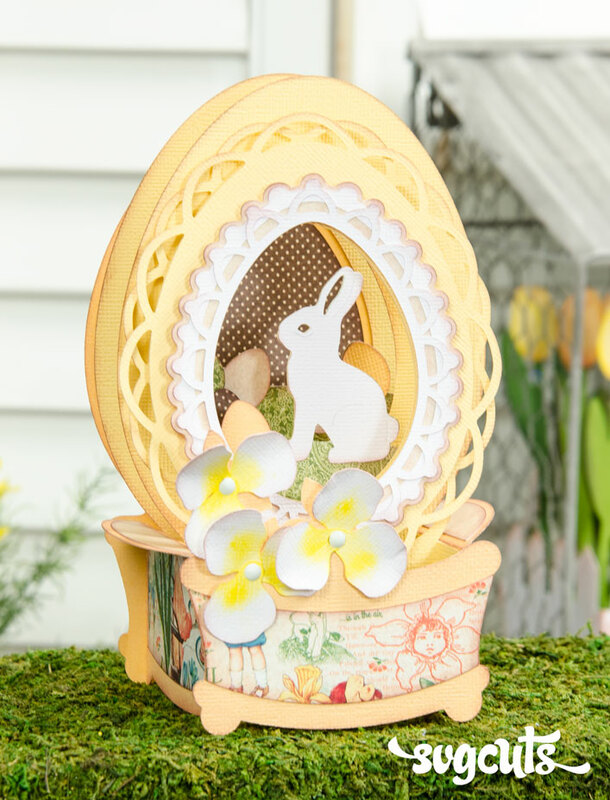 You also get a separate folder full of almost 40 "flat" Extras to keep you busy and creative - lots of pumpkins and pretty lace doilies (everything you see used on the cards, plus more). Apple Crate Box Card - 3.2" wide, four inches high and 2.3" deep when standing (5.5" by four inches when flat). 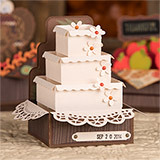 Cake Box Card - 5.3" wide, five inches high and 4.5" deep when standing (seven inches wide and five inches high when flat). 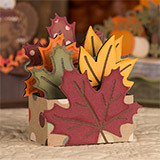 Fall Leaves Box Card - 4.5" wide, five inches high and two inches deep when standing (6.2" wide and five inches high when flat). Pumpkin Patch Box Card - 5.5" wide, five inches high and 3.5" deep when standing (7.3" wide and five inches high when flat). Thanksgiving Box Card - six inches wide, 5.3" high and 4.5" deep when standing (eight inches wide and 5.3" high when flat). SCAL2, SCAL3, ECAL, MTC, Silhouette Studio Designer Edition and Cricut Design Space. 12x6 and 8.5 x 11 mat users can only create the individual "flat" elements such as the pumpkins and Fall leaves. You also get "plain" (undecorated and unembellished) versions of each card in each project's Extras folder. Watch Free on YouTube (Above). Download for $1.69. Sweater Weather by Simple Stories. Stamps used are from the Hello Fall Collection by Echo Park Paper Company and the Neapolitan Date Roller Stamp by Dear Lizzy.